Jay is a senior business major at Texas A&M and a proud Fort Worth native (just don't confuse it with Dallas). 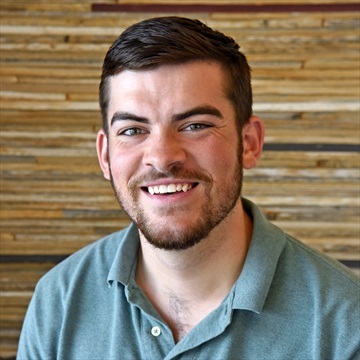 He joined TexAgs as an intern with TPG in June 2017 to pursue his passion for video production and filmmaking. Jay is a member of Challenger 17 and Parson's Mounted Cavalry in the Corps of Cadets. Along with an unhealthy obsession with baseball, he loves watching movies, camping, and is generally an advocate for any and all things "good bull." 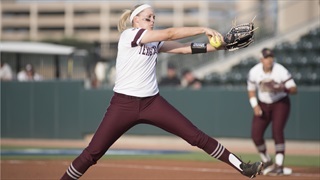 TexAgs presents a gallery of shots from A&M's 9-0 win over Prairie View A&M on Friday night at Davis Diamond. 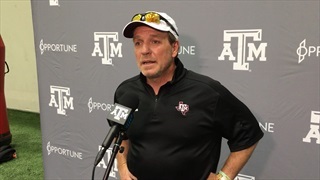 With just one practice left before the annual spring football game, Texas A&M head coach Jimbo Fisher shared his thoughts on the Aggies' progress over the last few weeks, the upcoming scrimmage in Kyle Field and more. 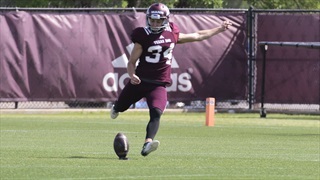 Texas A&M hit the Coolidge Practice Fields once again for its thirteenth practice session of spring football on Wednesday. TexAgs was there to catch all the action and presents the day's highlights. 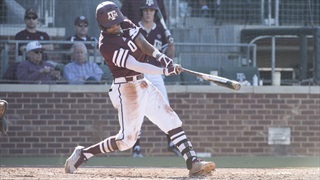 Texas A&M got off to a rocky start on Wednesday and spent most of their contest with Northwestern State clawing back from a five-run deficit. 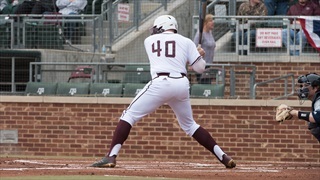 After the Aggies tied the game, Baine Schoenvogel sent a walk-off single into the outfield to drive in a run and secure the win. The Aggies look to game two of a two-game. midweek series against the Northwestern State Demons this afternoon. Freshman Christian Roa takes the mound in his first career start for the Maroon & White. Follow along for live updates. 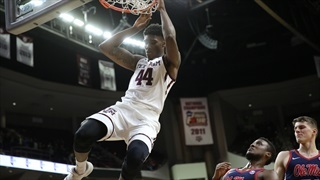 Texas A&M finally got the monkey off of its back against Ole Miss on Tuesday, breaking through for its first Southeastern Conference win of 2018. 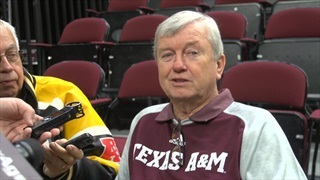 TexAgs presents a court-side view of the action. 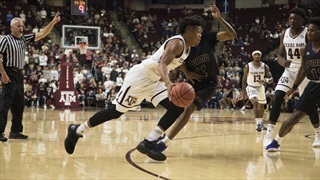 The Aggie men's basketball team didn't play its best game against the Panthers but put together a stellar rally in the second half to run away with a win. TexAgs presents a highlight reel of the action. Following Wednesday's Elementary school day victory over the TCU Horned Frogs, A&M women's basketball coach Gary Blair and Anriel Howard met with the media to discuss the win and Saturday's matchup with UCA. 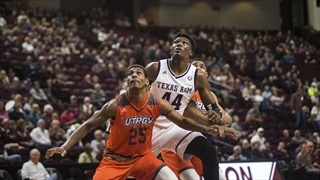 The Texas A&M men's basketball team pulled away from UT-Rio Grande Valley in the second half for an 18-point victory at Reed Arena. 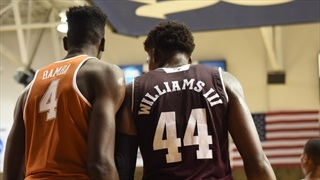 TexAgs compiles highlights from the game and presents them here in video form. Wednesday night was the annual Maroon Madness season tip-off event at Reed Arena celebrating the start of both Men's and Women's basketball season. TexAgs was there to capture all the action and presents highlights of the night.